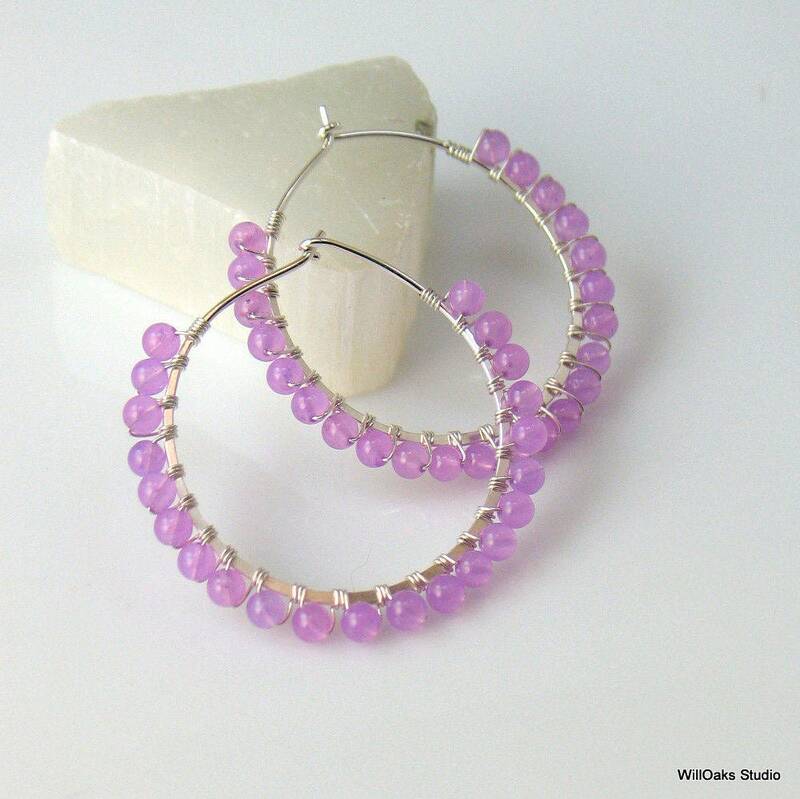 Larger lavender purple beaded hoops created with sterling silver or gold-filled wire. 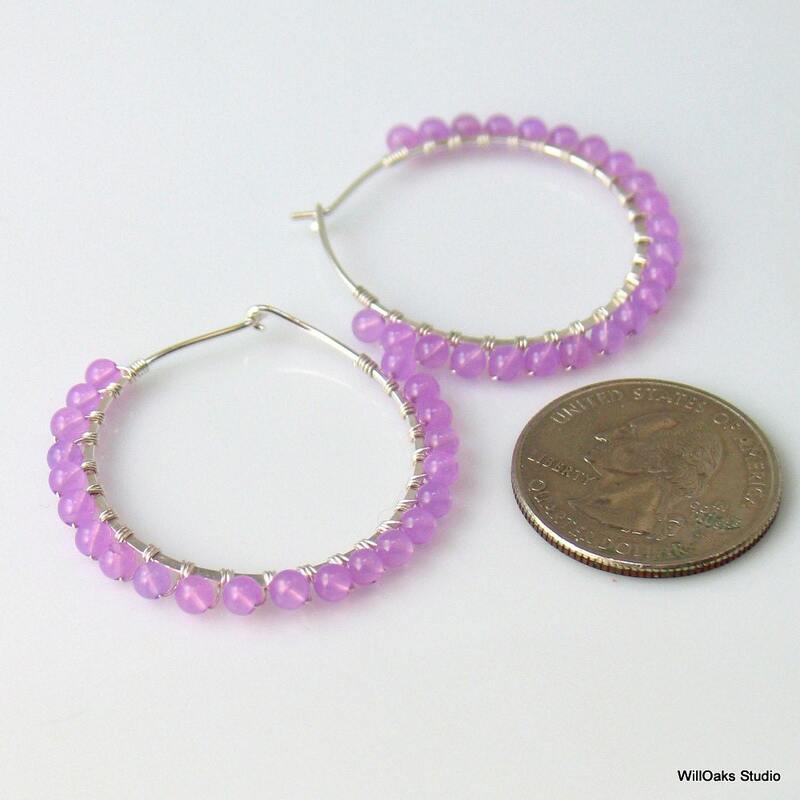 This larger size is about 1 3/8” including the 2 mm stone beads wire wrapped to hand forged hoops. 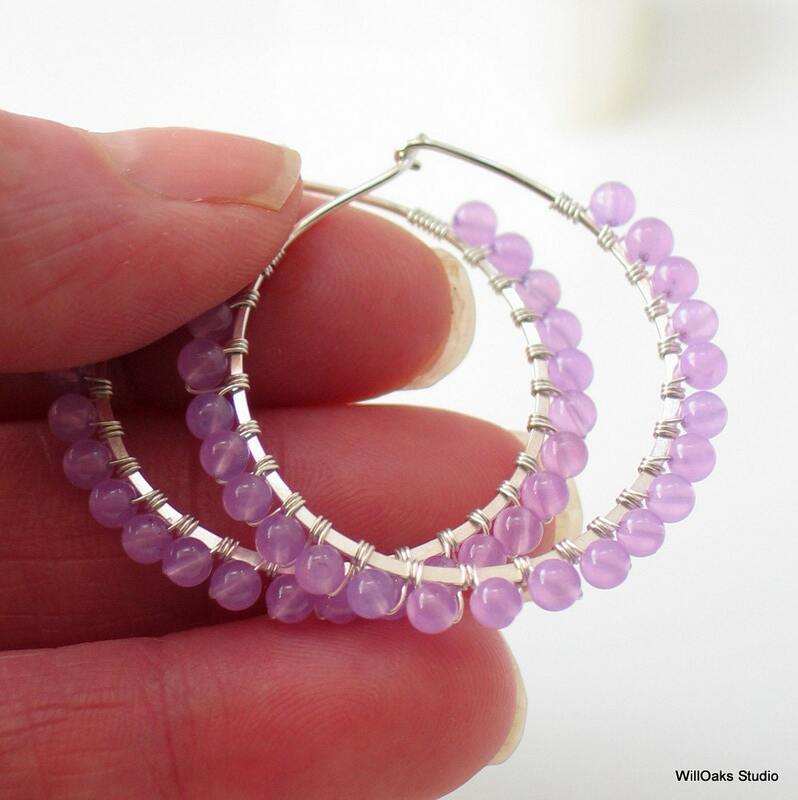 Lovely translucent stone beads are tightly bound with fine gold filled or silver wire for everyday wear. 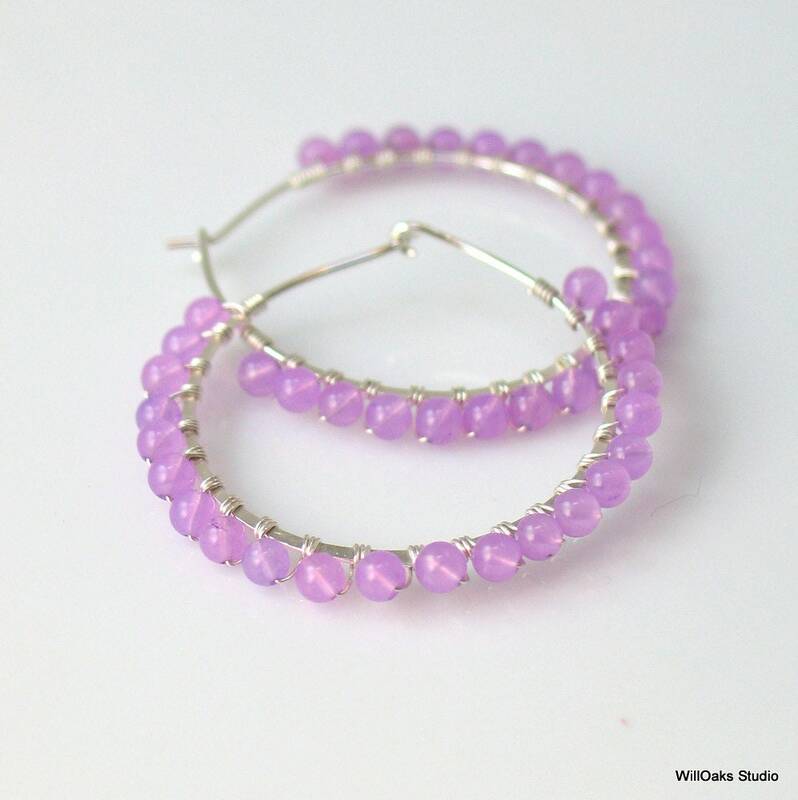 Pastel lavender color is light and feminine even while the larger earrings make a statement. Limited edition. Exquisite affordable artisan accessory hand made for you, and can also be given as a delightful original gift, to be enjoyed for years. 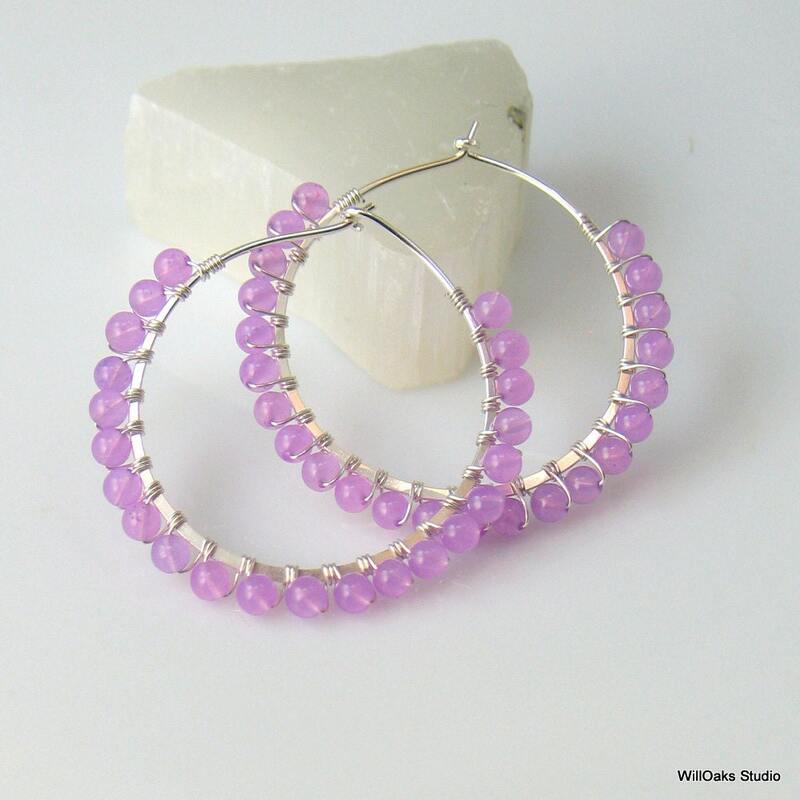 Ready to ship in sterling--will take a few days to customize in gold or oxidized silver; make a selection as you check out.